Imagine a Marine husband and father deployed overseas, leaving behind a wife pregnant with their first child. Following that deployment, imagine the young wife discovering her daughter must undergo emergency open heart surgery. Finally, understand how overcome this young mother feels when her place of employment terminates her, rather than allowing her time off with a sick child. Kaycee and Aaron Ryan don’t have to imagine it, because they lived it. And this became the moments in their lives that brought them to SERVPRO. Upon returning home, Aaron left the Marine Corp and joined the U.S. Air Force Reserves. Kaycee returned to work in a SERVPRO franchise in California. 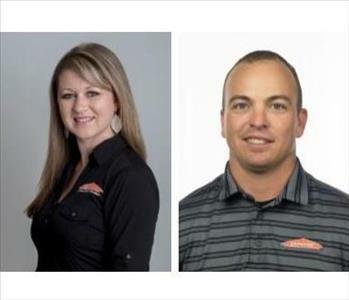 Three years later, they decided to open a SERVPRO of their own, and chose Wichita Falls as their new home. That was 2014. Today, the Ryan family is flourishing and celebrating the 5th Anniversary of their growing business. When we say we understand the stress and worry that comes with a disaster and the disruption it causes your life, we truly do understand. SERVPRO of Wichita Falls specializes in the cleanup and restoration of residential and commercial property after a fire, smoke or water damage. SERVPRO of Wichita Falls can also mitigate mold and mildew from your home or business. Our staff is highly trained in property damage restoration. From initial and ongoing training at SERVPRO’s corporate training facility to regular IICRC-industry certification, rest assured our staff is equipped with the knowledge to restore your property. 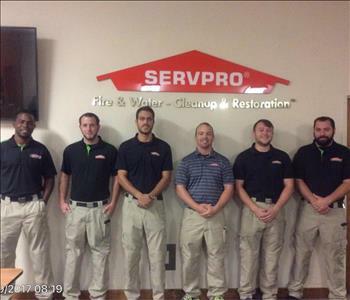 With a nationwide system of qualified franchises, no damage is too large or too small for SERVPRO of Wichita Falls.